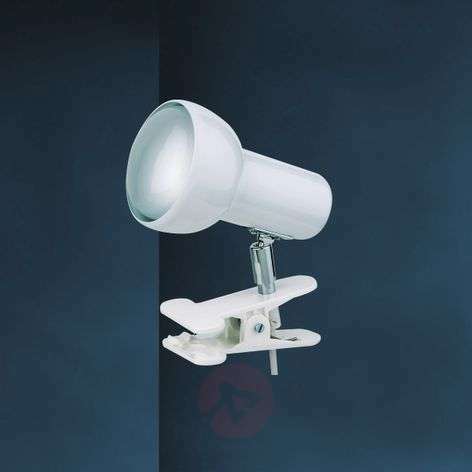 The small clip-on light from the EIFEL series also fits in confined spaces, because it simply attaches to table tops or shelves. Their simple, white design blends unobtrusively into any interior style. The light can be pivoted backwards (about 80 degrees) via a metal hinge and ensures precise lighting. Its main feature is the high-quality ceramic socket. The lights of this manufacturer are made elaborately by hand in Germany. This guarantees high-quality and long-lasting products that meet the highest quality and safety standards.